Have you ever employed someone and got it wrong?? how much could that have cost you….? Do you want to understand how you can have the right team in place to ensure you beat the credit crunch? In the current climate you need the very best people to protect your market share and acquire new customers. Time is precious, time won’t wait, you need results and good people, fast. 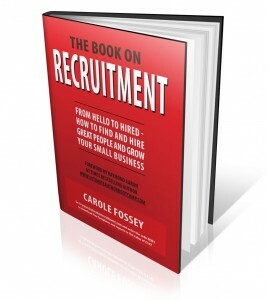 But how to do ensure you are finding and employing the very best people for your business?? For years we have been training our exclusive group of clients, the secrets of effective recruitment. As a result of the incredble feedback we have had we have developed the “More Than a Gut Feeling” training session. Perfect for non recruiters who need to recruit! This invaluable informative session will teach you the basics of recruitment, from deciding what you really need, through interviewing objectively, to making good decisions about who to hire – all the while keeping you legally compliant. If an interviewee claims unfair procedures in your recruitment process – YOU have to prove that your process is fair. If you don’t, it can cost you dearly – as one hairdresser in London learnt to her downfall last year when a tribunal awarded £4,000 to a claimant in a discrimination case for “hurt feelings”. Luckily the hairdresser wasn’t found to have discriminated as she was being sued for £34,000!!! You have to cut a lot of hair to cover that cost. Unless you have worked for a large corporate you have probably never had the opportunity to do any interview training. Our system is copyright and offers more than the usual “what to ask in an interview” stuff and was originally developed for one of the UK’s largest and most successful companies by Carole Fossey, MD of beResources. How to assess what you actually need? Eg – are you looking to replace the person who left or the one who joined?? How to interview objectively and make sure you are never lied to again! How to assess and take on the right person for YOU, be confident in your decisions and please your boss / or your bank manager if you ARE the boss! This course normally costs £750 if delivered in house or £247 per person for a half day open course, but we are offering this training to a small number of our clients for the cost of lunch / breakfast on the dates below. So if you can make one of the dates below let us know – and if we can squeeze you in you can come along and learn some skills that will help you for the rest of your business life. Learn the one key ingredient which affects your ability to hire the right staff to grow your business, to put together effective marketing that will attract your perfect customers and will influence your sales process and give you maximum results.